Do you see this smiling face? Aidan is smiling because she managed to escape to Aix-en-Provence sans husband, children, and dog to meet up with the girls (not an easy feat let me tell you), and since it's not often that we get to see each other without husbands, children, and dogs, we decided to celebrate with lunch in the sunshine. As soon as we finished our lunch we met up with Delana for a stroll around the city. But it was only going to be a quick stroll because Ireland was playing Italy in rugby. Priorities, you know. (p.s. please remember that I did warn you that there would be rugby talk). And then Delana took it upon herself to guide us to the pub where they would be showing the match, but she guided us to the wrong pub. Let it be known, that Sara Louise never needs to be guided to the pub. I always know where the pub is. In every city. Anywhere. So I got us there but we missed the Italian national anthem, which was kind of a bummer, because it's so pretty, and all the Italian rugby players stand there singing with tears in their eyes, and call me a weirdo, but I find it touching. But then Ireland won and that's all that really matters about that. And then before we knew it, it was l'apéro time (isn't that always the way) so we went back to Delana's to sip wine, nibble on olives and meet up with Kirsty. Of course we could have sat on Delana's terrace pretending it was apéro all night but we had dinner reservations to get to (good thing too, because we totally would have sat on the terrace pretending it was apéro all night and olives do not a dinner make). So off to dinner we went for traditional French fare at Chez Grand-Mere. It was delicious, and lively, and we could have sat there all night (do you notice how if you plop us down somewhere with wine we could stay there forever?) but while the other girls were in for a sleepover at Delana's I was returning to Le Petit Village and had to go. La grippe was coming for me, getting closer and closer, and of course we all know how that turned out. And that's the story of my day in Aix. Looks like you had a blast! Are you feeling any better yet? You sure as heck do get up early to post! I would say it's good you weren't there in the morning to roust us all out of bed, except those other two were also up at some hour that I normally wouldn't see! It was great fun, wonderful laughs, and next time, we will rely entirely on YOUR nose to find the pub. I've put myself out to pasture. That sounds beautiful!!! What a lovely day, + isn't girltime just priceless? Lunch in sunshine is pure happiness! Really, any meal in sunshine is pure happiness in Brittany. I'm so glad that you've recovered from la grippe enough to enjoy a sunny day out with friends! Hope you're feeling better....looks like it was great fun! What a great, fun day and isn't l'apéro time such a wonderful French tradition! Sounds like a good way to spend your first healthy days! Looks like you are feeling better! And yay for ditching the hubs and fifty for some girl time. Win win win. 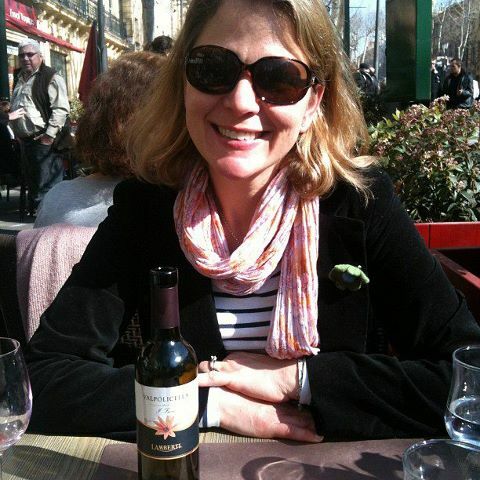 It looks like you had a grand time together in Aix. Happy for your that Ireland won! I hope you are feeling better by now. Have a great weekend. I hope you're feeling better now...and I hope you had a wonderful time together! i want a blate with you! does that mean i actually have to BE in france? well... ok.
Awww... there is nothing like hanging out with Girlfriends ! And you are tagged on my blog for some questions! I do not all think you're a weirdo for enjoying the Italian national anthem. That scene in Casablanca where they sing La Marseillaise does the exact same thing to me. Sounds like you had a simply marvelous time! I so love Aix and don't get back there often enough. With regards to the rugby, I agree with wanting to see those strong guys with tears in their eyes while the anthem is playing. It does a heart good to see the softer side of a rugby player! Sounds like you had a great time in Aix! Good for you. I don't get back there as often as I should. I agree with wanting to see those teary eyed rugby players. It does a heart good to see the softer side of those guys.